Once again, the World is witness to the revolutionary aspirations of a people long suppressed. Today it is Egypt. Yesterday it was Tunisia and decades before that Rhodesia (now Zimbabwe) and Iran. 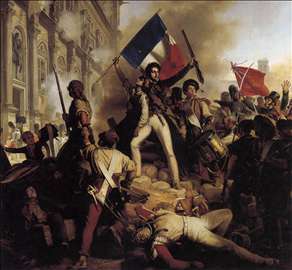 The Russians endured their own revolution in the early 1900’s and the French in the 1800’s. We had our own in the century before and there have been others in between. So what will become of Egypt? Will true democratic reform follow? Or will their aspirations be hijacked in an exchange of rulers more interested in their power than others freedom? While the courses of revolutions are rather unpredictable, the answer likely lies with the nature of Egyptian society.